Certainly the overall blueprint for the “Thailand 4.0” is an ambitious one – focusing on core digital improvements that enhance the quality of life and at the same time as promoting productivity and efficiency. The five pillars of the digital economy have been identified – hard and soft infrastructure, promotion and innovation, service infrastructure, and society and knowledge. To make these all of these conceptual pillars a reality though, Dr. Pichet noted that initial hard infrastructure projects have been a clear focus for the government. To that end the Thai government established a $147 million (5 Billion Baht) “Digital Fund” to support local startups and and large digital infrastructure projects. The fund will be used in four ways. It will go to startups and the private sector in digital economy development; boost research and development; support the operations of the new Digital Economy Promotion Agency; and cover expenses for the National Digital Economy Committee Office. Dr. Pichet said three of the biggest projects are the Internet of Things Institute (IoT), Government Big Data and encouraging the Startup Sector. The establishment of the IoT Institute, a consortium of government, private and education sectors to prepare IoT courses and drive IoT in the country is one key project to develop and promote industries such as the automobile and manufacturing sectors. Thailand also wants to leverage IoT and other smart tech innovations to revolutionize its agriculture sector, and to accelerate the growth of e-payments and online commerce in the country. For the Government Big Data Project, the ministry will assign the National Statistical Office to survey and collect data from all government agencies. The data would be used for big data analytics to support both the government and private sectors. Another key project for the Digital Fund is finding ways to deliver funding to digital entrepreneurs and start-ups. According to Dr. Pichet the government had the potential to accelerate and facilitate start-ups in various areas such as the agriculture, automotive, tourism and healthcare industries – trying to build a ‘healthy eco-system’ of local and domestic players. In this way, the country will be able to benefit from foreign experts’ professional knowledge as they provide their knowledge and know-how to local start-ups. This was a big theme of the lunch – how to encourage local and international partners and collaborators. As the minister noted, transformation cannot happen through infrastructure alone. It requires the encouragement of local, grassroots development and the right knowledge based international talent for the new digital economy to flourish. An example of encouraging local development has been ‘Village Internet’ project, aiming to create Wi-Fi t internet infrastructure to every village and community in Thailand. Already more than half of the 24,700 villages in the country have been connected and this is expected to reach all communities by year-end. Digital technology is certainly becoming an integral part of Thai people’s lives. In a population of 68 million, 48 million Thais use smartphones, 46 million use the Internet (with a penetration rate of 67 per cent), and 46 million use social media. 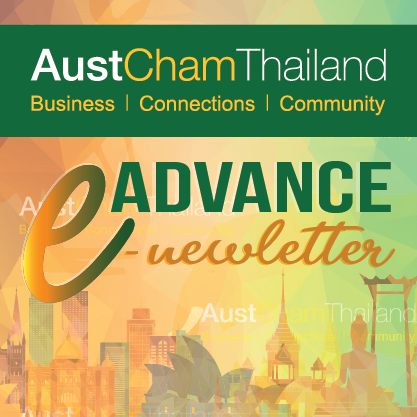 The village infrastructure plan is part of the attempt to connect the digital economy to all parts of the kingdom – therefore encouraging e-commerce and digital innovation from commercial partners to drive participation from all members of the Thai economy. From an international partnership perspective – the start-up fund is a key way to promote both local entrepreneurship and global partners. The DE Ministry is developing a measure whereby start-ups will be able to invite experts to work with them and transfer technology to their businesses, including work-permit privileges. Dr. Pichet noted that the focus for the government efforts are really all about encouraging bringing ‘ideas to market’ and taking advantage of innovation and ideas that can drive the economy forward in a very practical way. The focus will be on Thai start-ups that are of good quality and have potential to expand. The government will try to help local start-ups expand their business in both the domestic and international markets as well as creating a nationwide start-up ecosystem. Beyond the start up scene though – the DE Ministry is looking to establish a Digital Park to bring together local and international players for this sort of market-driven innovation. Initially, Thailand is creating a THB 10 billion (US$294 million) digital innovation park in Sri Racha, Chon Buri (Southeast of Bangkok on the Gulf of Thailand). The park features digital infrastructure such as data centers, cloud computing, internet gateway services and fibre optics. As well as encouraging local and international participation in the park, the government noted that some private companies are developing their own digital parks along similar lines. This is exactly the effect the government is hoping to achieve. Dr. Pichet re-iterated that the Thailand 4.0 concept gives public and private partnerships an important role. While the private sector takes the lead through its business activities and investments, the government serves as facilitator and promoter. In this way, more investment in digital-technology-based industries is encouraged, with the government providing sufficient incentives to invest in the targeted industries. While there are many challenges ahead, particularly in the areas of social innovation and education, the activity to date and positive attitude towards encouraging local and global participation is a very promising start. Rob Hall is a member of the Austcham Communications Subcommittee and Managing Director of Dot360, a full service digital marketing agency that helps brands leverage digital to solve communication and business problems.